Central Trains Turbostar 170117 sits 'off route' at bufferstops, Worcester Shrub Hill. 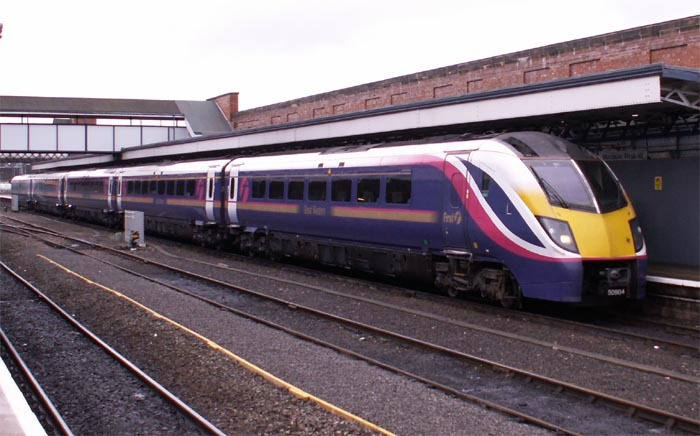 First Great Western Class 180 number 50904 at platform 2, Worcester Shrub Hill. 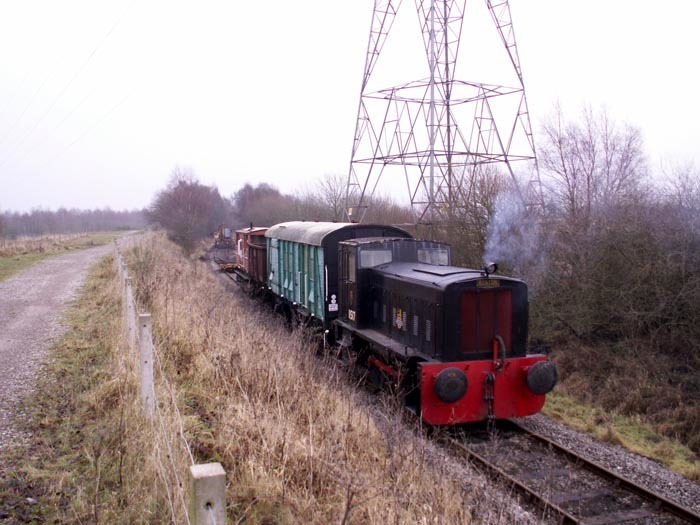 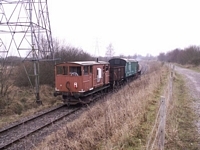 Ruston DL7 diesel shunter and wagons on permanent way duties between Norton Lakeside halt and Chasewater Heaths station on the Chasewater Railway. 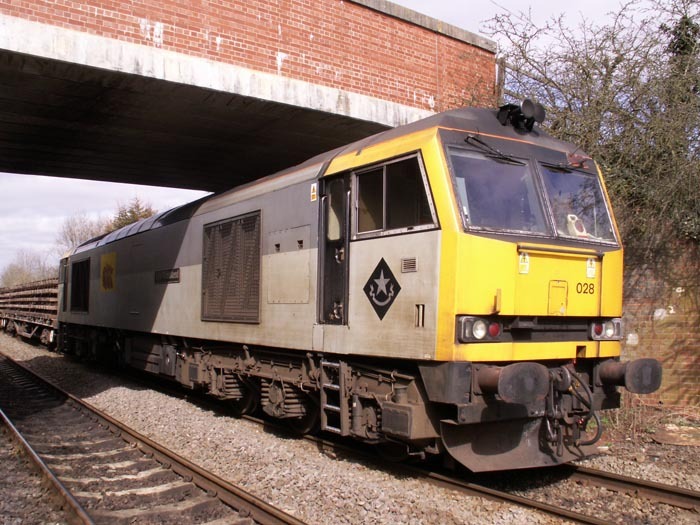 EWS 60028 John Flamsteed at rest with a track train at Wilmcote station. 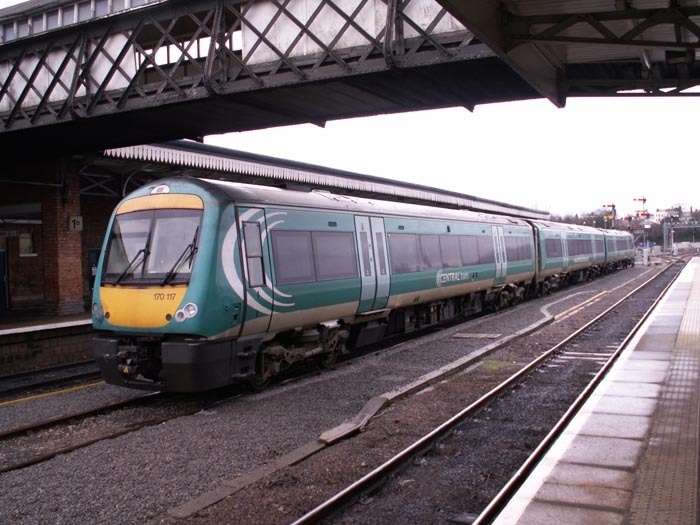 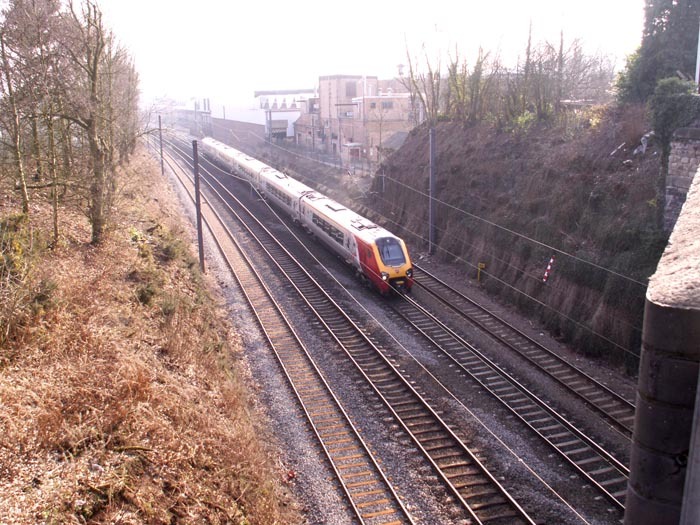 An unidentified Virgin Voyager entering the site of Cofton Tunnel on a Bristol Temple Meade to Birmingham New Street service. 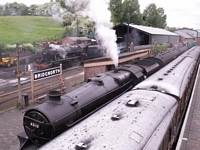 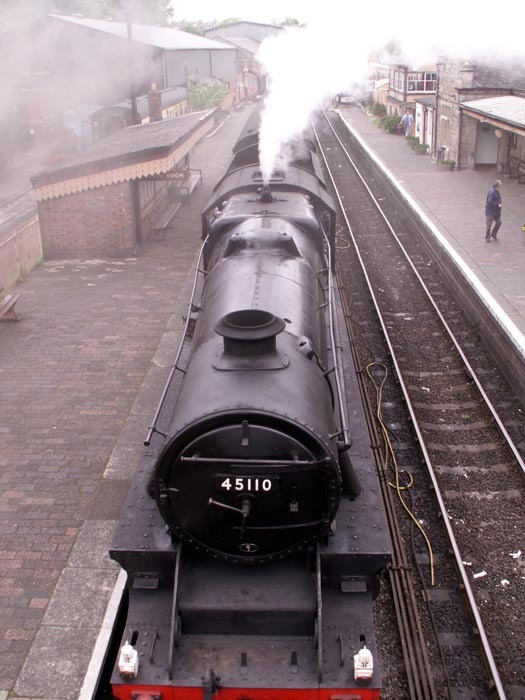 Stanier Class 5 4-6-0 No.45110 simmers at Bridgnorth whilst Stanier Class 8F 2-8-0 No. 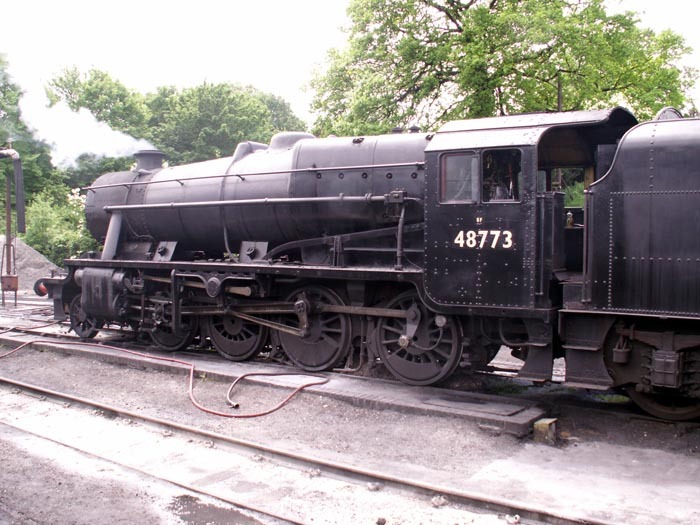 48773 gets up steam beyond. Stanier Class 5 4-6-0 No.45110 viewed from the footbridge at Bridgnorth station. 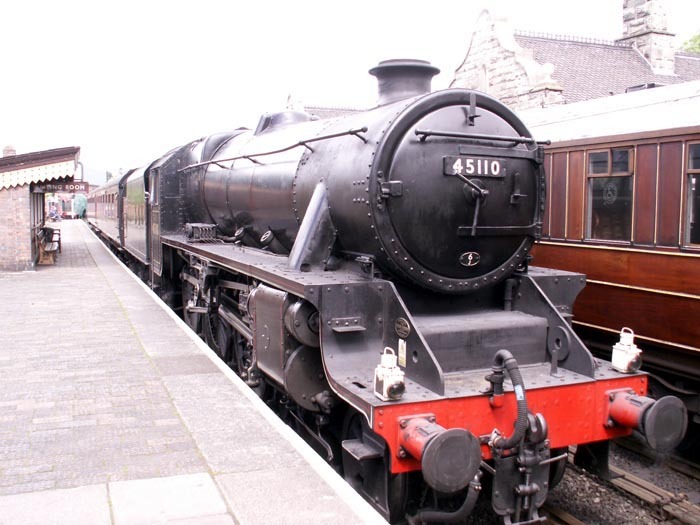 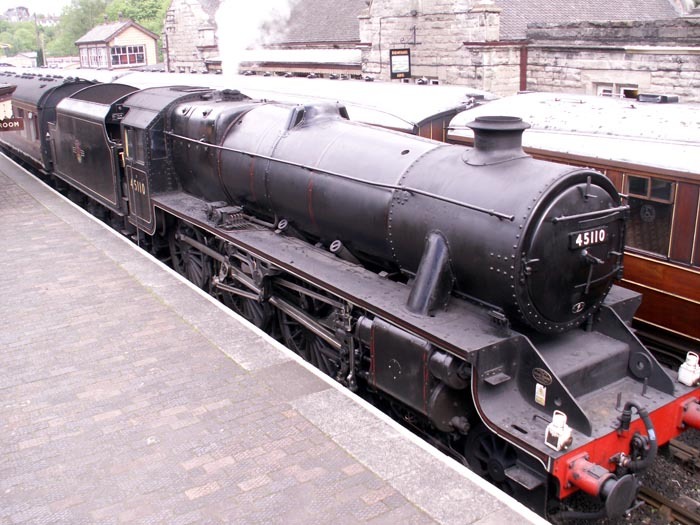 Stanier Class 5 4-6-0 No.45110. 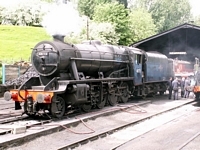 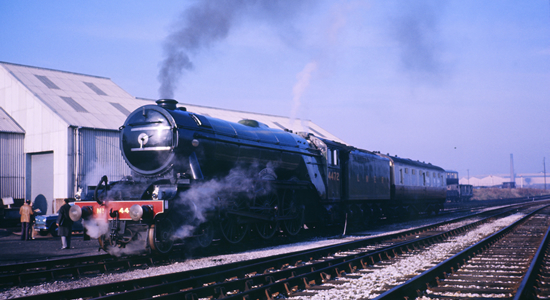 Stanier Class 8F 2-8-0 No. 48773 in steam awaits duty at Bridgnorth shed. 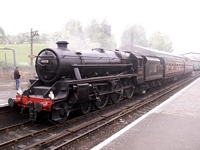 Stanier Class 8F 2-8-0 No. 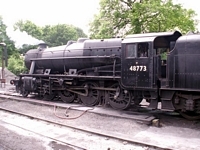 48773. 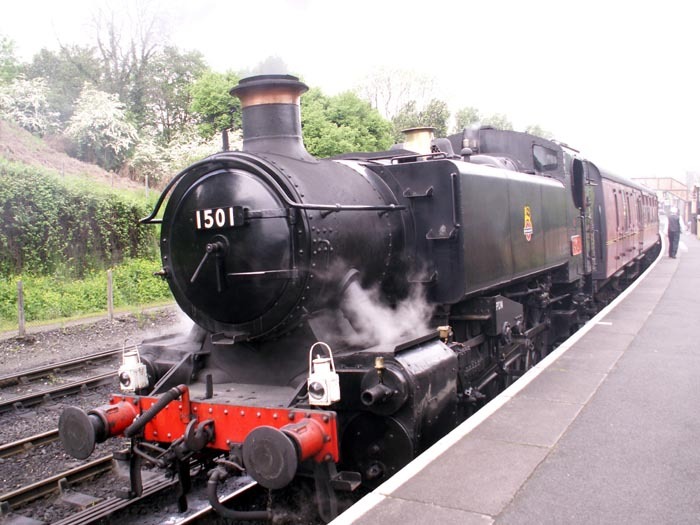 Class 15XX 2-6-0PT No.1501 prepares to depart for Kidderminster from Bridgnorth station. 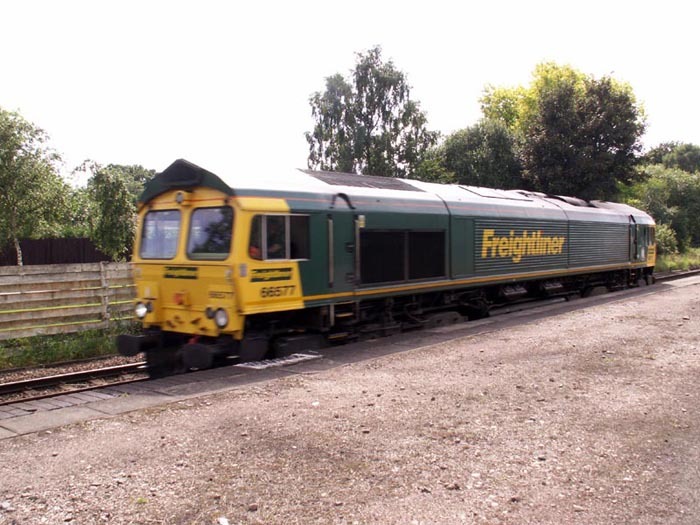 An unfortunately blurry pic of Freightliner 66577 running light engine through Water Orton. 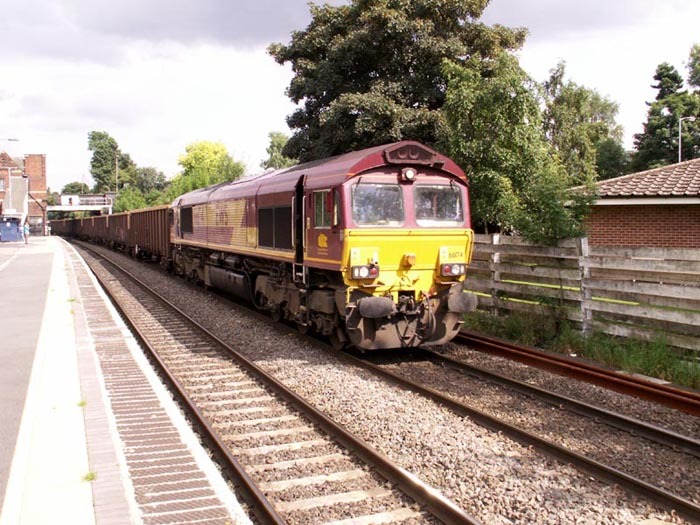 EWS 66174 thunders through Water Orton with a scrap metal train. 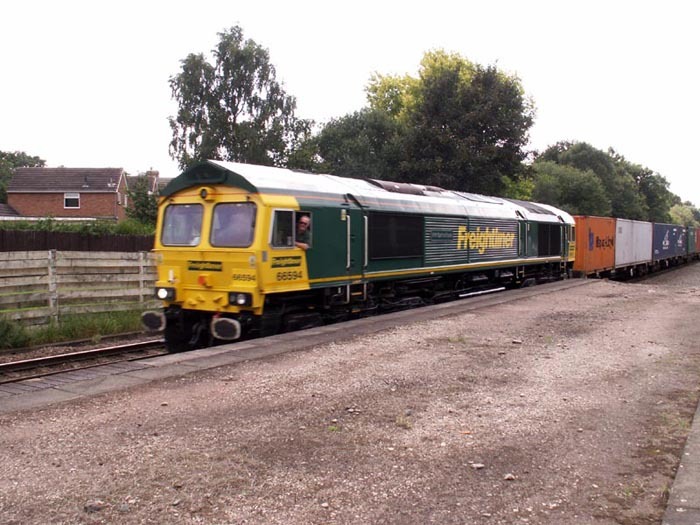 Freightliner 66594 pulls a mixed goods through Water Orton station. 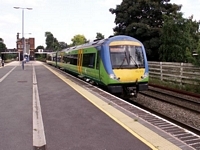 Central Trains Turbostar 170513 pauses to pick up passengers at Water Orton station.